Displays of nature that are not living displays of nature (like artificial flowering plants) are neither good nor bad, but they do affect. A living plant inside a building adds oxygen to the air, adds beauty, and increases the stabilizing positive energy in the building. It draws the eye and, unknowingly to people, uplifts the soul. A fake plant, no matter its similarity to a living one, can only add beauty, and nothing else. The most important work of a living plant is not only not done, but is lost. The uplifting effects of living plants are important and should not be underestimated. Eating food in a restaurant that is decorated with fake plants fails to feed the soul. Working in an office decorated with fake plants does not energize the workers. Living in a house that contains only fake plants and no living plants is a house bereft of the soulful energy provided by plants. A smattering of fake plants is acceptable as long as there are live plants as well. 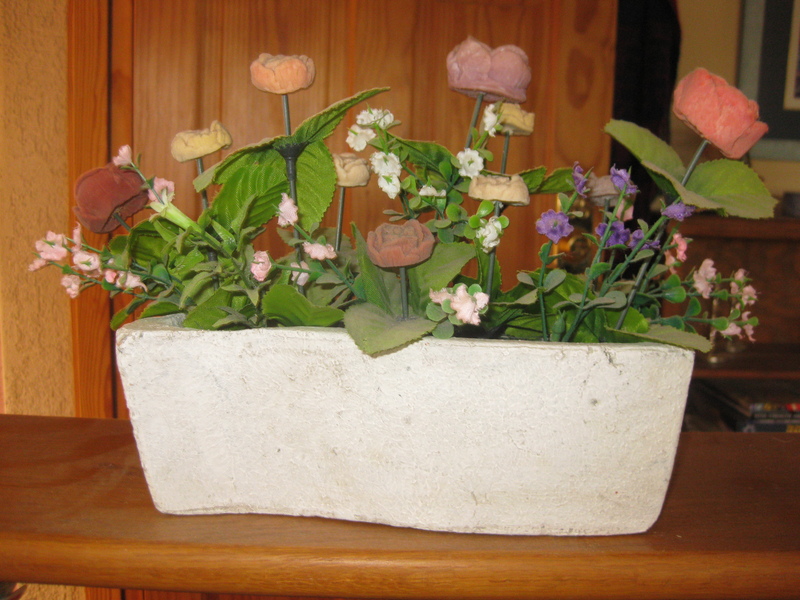 A smattering is the amount to use when decorating with fake plants and flowers. Is there a certain amount of real plants you should have in your home. Are there specific plants that are better than others. I have been putting real baby’s breath in my kitchen. It’s cut so it has a limited lifespan. Where does that fall on the nature spectrum? I can’t give a recommendation of a number because there are many factors: size of the home, availability of natural light, a person to properly care for the plants, budget, and so on. In my house, no one is that successful with maintaining plants so we mainly have ivy and spider plants. They are fairly easy to keep alive. One plant I will recommend is the aloe vera plant. We have several outdoors (weren’t successful with them indoors). Any time we need first aid on a cut or burn we go straight to the aloe vera plant. I will write about cut flowers in my next post. Thanks for asking.